Over time, dental health organizations found that it was necessary to set standards for preventive dentistry. It became a useful rule of thumb to visit the dentist semiannually. The idea was to prevent dental problems before they were too far developed. Of course, the length of time between each visit can vary by each patient depending on their personal hygiene habits and medical conditions. Even if you take excellent care of your teeth and gums at home, it’s important to see your dentist regularly. When you visit our office, Dr. Jeffery Nichols or Dr. Ryan Collins may be able to spot future health problems that you cannot feel just yet. Many dental problems don’t become visible or cause pain until they are in their advanced stages. We recommend visiting your dentist more often than twice a year if you are at high risk for dental disease or have a low immune system. Some high-risk patients may be pregnant women, tobacco users, diabetics, or patients with gingivitis or advanced gum disease. What can I expect during my dental visit? Dental appointments don’t seem initially relaxing, but you can rest assured that you’ll receive the care you need in a comfortable environment when you visit your Melbourne dentist. Our patients tend to leave our office with a newfound peace of mind, knowing that we are here to take good care of them and their oral health. During your visit, your dentist will complete a thorough cleaning, full dental examination, and take a few x-rays to diagnose any problems that may not have been spotted with just a visual exam. A thorough cleaning starts with scrubbing along and below the gum line to remove built-up plaque and tartar. This is very important because it helps to prevent gum disease, tooth decay, cavities, bad breath, or more severe dental problems down the road. To complete the cleaning, either Dr. Nichols or Dr. Collins will polish and floss your teeth while at the same time educating you how to do so correctly at home. 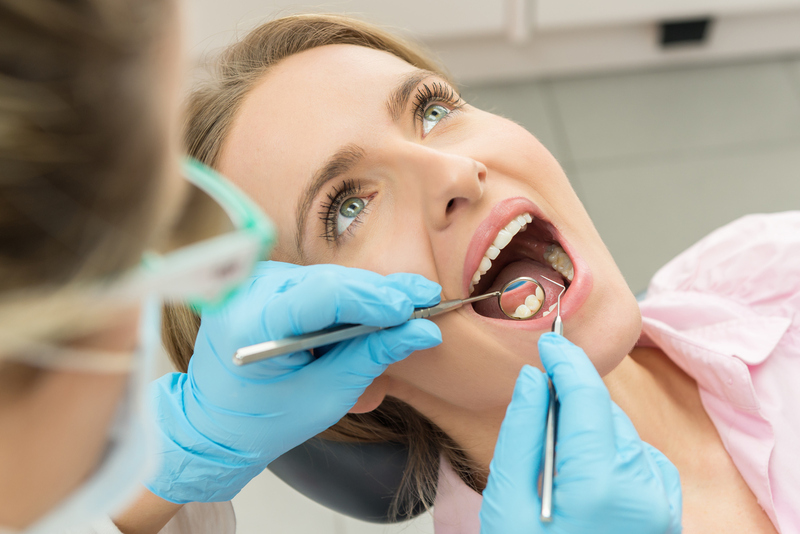 During the full dental examination, your dentist will perform a detailed inspection of your teeth, gums, tongue, and even the outside of your mouth and face. These are areas that could show signs of disease, whether dental or other systematic health problems. Finally, either of our dentists will take a few x-rays to diagnose problems that could have otherwise go unnoticed. These issues may include damage to jawbones, impacted teeth, abscesses, or cysts and tumors. Once your x-rays are taken, they will stay in your file for future reference. This allows your dentist can track the progress of your oral health from start to finish. Why are routine checkups so important? Advanced gum disease is the primary cause of tooth loss for American adults, and oral cancer causes more than 7,500 deaths each year! These diseases are both preventable with the help of your Melbourne dentist alongside your excellent dental hygiene routine at home. By visiting Premier Walk-In Dental, these diseases can be controlled or eliminated altogether. If you have not scheduled a checkup lately, be sure to call our office or stop by for a walk-in appointment!